Ever since I started working for a restaurant group I’ve learned a whole new side to my favorite hobby of dining out. I’m learning restaurant language and for the first time in my life I’m really eating through an entire menu. It’s a totally new experience for me and I’m loving it. I’ve tried so many new things that I would never pick off of a menu if I was just at a restaurant once. I also order really strange combinations of food like french fries with a side of baked mac n’ cheese. 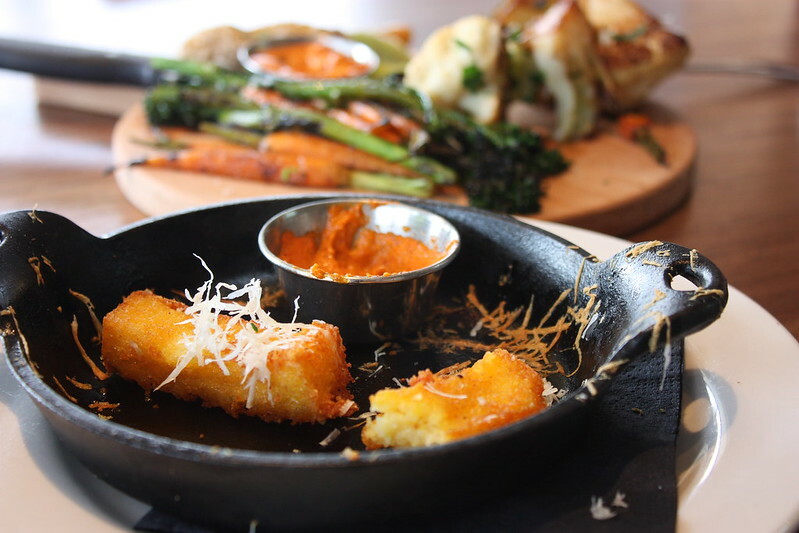 This particular lunch consists of our Polenta and our F&A Veg Platter from our newest restaurant, Federal Pizza. 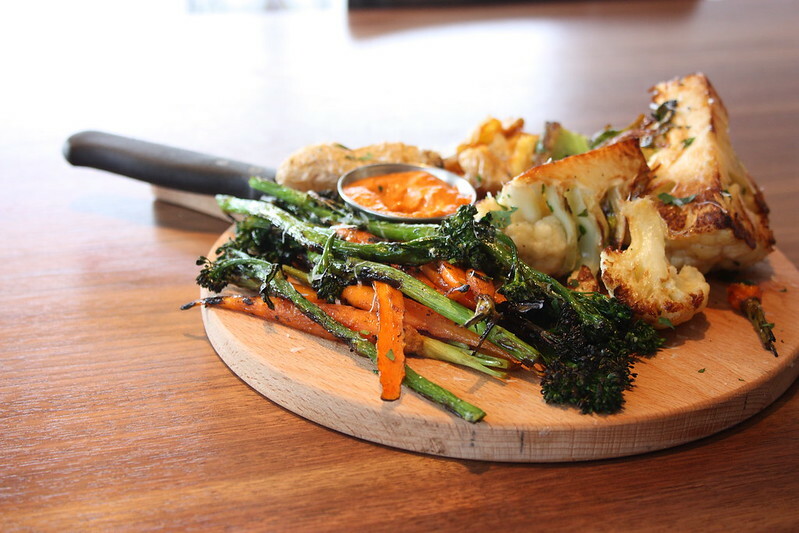 I feel like the veg platter is completely underrated. Veggies in general tend to get a bad rep. I read recently that more restaurants are utilizing vegetables as a main dish rather than relegating them to a supporting role. 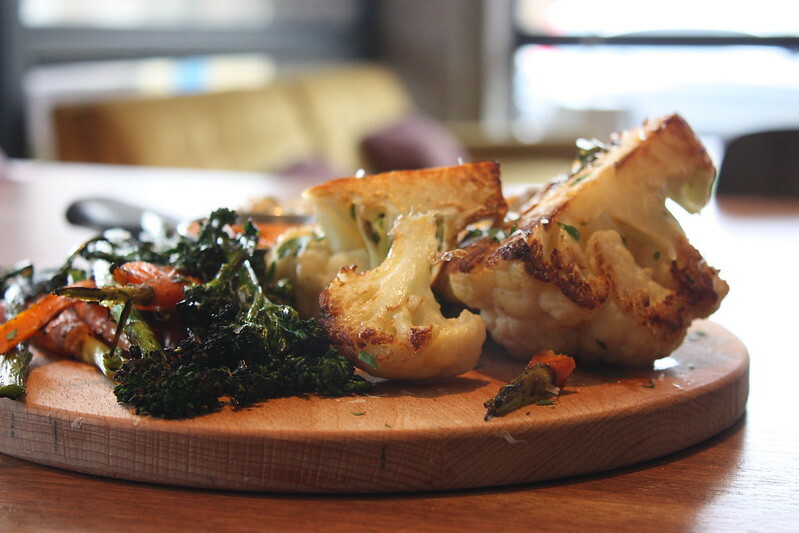 This veg board is a great example of that. It’s hearty, filling, and full of flavor (not to mention nutrients)! As I keep tackling our menus I’m going to share things from time to time. Have you ever eaten through an entire menu? This is a completely new experience for me but maybe I’m in the minority here!